Get deals on mattresses, appliances and more over the holiday weekend. Memorial Day is May 28, and if you spend part of the holiday weekend shopping, you could score big deals and save some serious cash. 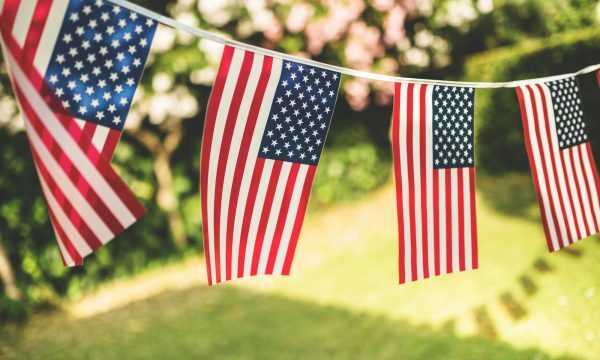 Here are some of the best Memorial Day deals happening at big box stores, department stores, hardware stores and more. Sneak peek: Mattresses, home decor and appliances are on sale. Ace Hardware: Through May 28, get a free refill or exchange of a 20-pound propane tank with the purchase of any Weber gas grill of $399 or more. AllModern: Through May 29, take an extra 15% off Memorial Day sale items with code SPF15. Bear Mattress: Through May 29, use code MD100 for $100 off your product purchase of $700 or more. Use code MD200 for $200 off your product purchase of $1,200 or more. Best Buy: Through May 29, save up to 40% on select appliances. Get a Google Home with the purchase of two or more qualifying major appliances totaling $1,499 or more. Birch Lane: Through May 30, take an extra 15% off and get free shipping with code BLUESKIES. Houzz: Through May 30, get up to 80% off products for the home, including bath linens and chandeliers. Joss & Main: Through May 29, take an extra 20% off at the Memorial Day sale with code STRIPES. Kmart: Through May 28, all Serta mattresses are on sale. Lowe’s: Through May 30, get up to 40% off appliance special buys. LuxeDecor: Through May 29, get 10% off sitewide, with additional savings on some brands. Maytag: Through June 6, get up to a $700 rebate by mail in the form of a prepaid card with purchase of select Maytag appliances. Overstock: Through June 4, save up to 70% sitewide. Sears: Through June 2, get up to 60% off top brand mattresses, including Sealy and Serta. Check with each retailer for full sale details, including any possible exclusions.